210 Wesley Dr, Athens, GA.| MLS# 968385 | Athens. Athens Realtor. Athens Georgia Realtor. Athens Homes for Sale. 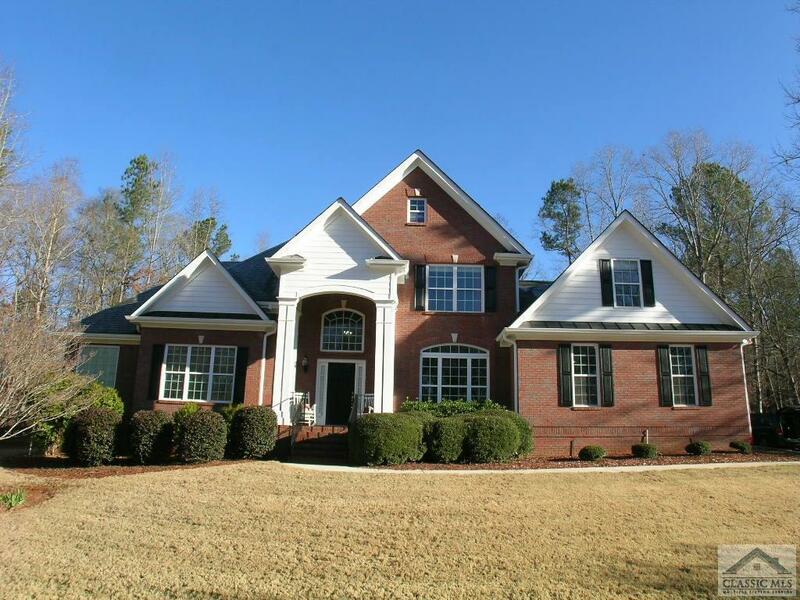 Athens Georgia Real Estate. Athens Area Real Estate. Athens Real Estate. Moving to Athens. New home Athens. Immaculate four sides brick on cul-d-sac. This huge Eastside home features room for everyone in like-new condition. Enter the home from the two-story front porch into the dramatic foyer with open staircase. The dining room and office/music room frame the foyer. Straight ahead is the vaulted great room with fireplace and built-ins and a wall of windows to the pretty backyard. The kitchen has custom cabinets, granite countertops, and stainless-steel appliances and all kitchen appliances remain. There is a gas cook top here! The master bedroom is downstairs with two separate closets and double doors to the generous master bath. The master features a jetted garden tub, separate shower, and a large double vanity. Upstairs are three bedrooms including the bonus room, a loft area, and this classic even has a set of back stairs to the kitchen! There are HW floors in the all the common areas with carpet in the bedrooms.